Richard Mille are delighted to announce the new RM 011 All Gray limited edition, exclusive to the Richard Mille Boutique Dubai, UAE, starting from January 2011. The latest addition to the range is a tribute to the long and successful cooperation which binds Richard Mille and one of the largest watch retailers in the UAE, Ahmed Seddiqi & Sons, founded back in the 1950’s. The new RM 011 All Gray Limited Edition is an adaptation of the original RM 011 featuring a distinctive All Gray PVD treatment and case of microblasted titanium. The watch comes on a gray satin strap with a grade 5 titanium buckle perfectly embodying the passion for innovative materials which stands at the very heart of the brand. 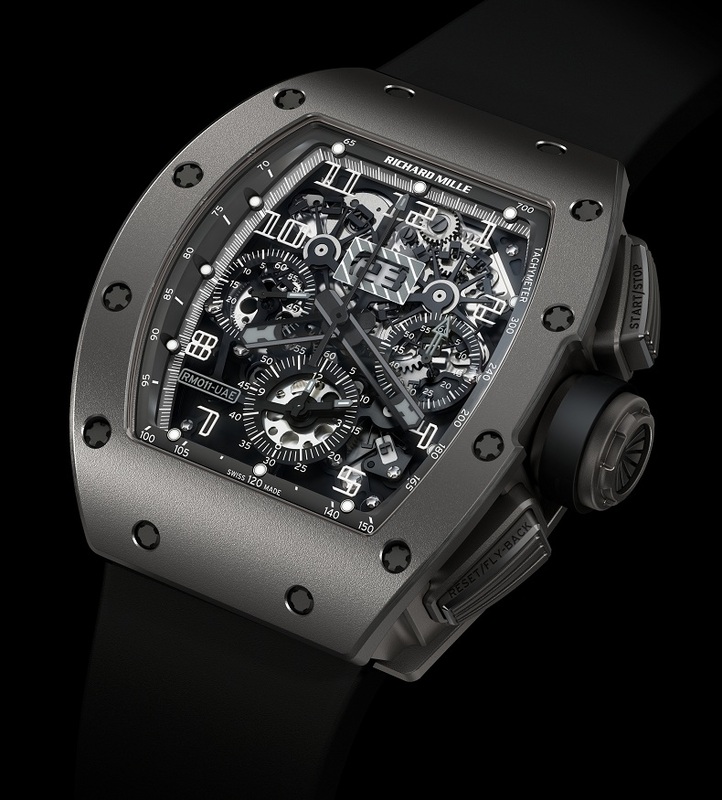 The RM 011 All Gray will be available in a limited edition of 7 pieces only at the RICHARD MILLE Boutique Dubai Mall, Dubai UAE.